The developers of a planned wind power project in Somerset and Yates informed town officials Wednesday night that they will not submit a formal application for state approval this year. Although Apex Clean Energy won't say so, Somerset Supervisor Daniel M. Engert said Thursday he believes the Lighthouse Wind project is dead. "They're pulling out," Engert said. "I just wish they would do it in a more transparent fashion." "I think it's over, but they just won't admit it," Yates Supervisor James J. Simon concurred. He called on Apex to officially cancel the plan out of "professional courtesy." 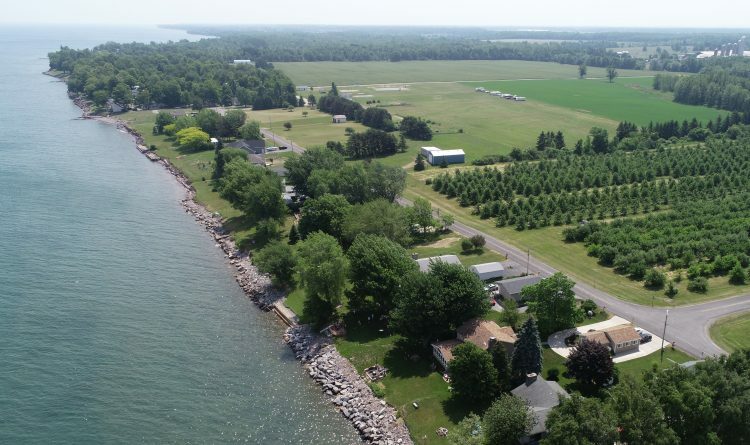 Last Friday, Engert emailed Paul Williamson, senior development manager for Lighthouse Wind, saying he had heard "widespread rumors" the company was giving up after five years of trying to build a cluster of wind turbines near the shores of Lake Ontario. Engert said the rumors apparently emanated from Apex leaseholders being told the project wasn't going through, but a confidentiality requirement had been imposed on them. "Apex Clean Energy has decided not to advance the Lighthouse Wind permit application for a 2019 submittal at this time," Williamson responded late Wednesday night. "We will provide both Somerset and Yates with updated information regarding permitting actions, adjustments in design, and anticipated scheduling as that information becomes available." Apex closed its office on Main Street in Barker, the village in the center of Somerset. Williamson wrote that the company would consolidate its local operations in Albion, where Apex is proposing another wind project. "I know there's not going to be a Lighthouse Wind project, and (Williamson) knows it," Engert said Thursday. "He's chosen to leave a cloud over the town." Williamson did not return a call seeking comment Thursday. "Apex Clean Energy will not be submitting the Lighthouse Wind permit application in 2019 as originally planned last year," company spokeswoman Cat Mosley said in an email to The Buffalo News. "Though we are not able to offer a more specific application timeline, we will provide stakeholders with updated information regarding permitting actions, adjustments in design, and anticipated scheduling as that information becomes available. We look forward to identifying the proper time to advance those benefits to the region," Mosley wrote. Asked directly if the project is dead, Mosley replied, "You have our statement." "The signs have been pointing in this direction for a while," Simon said. "During the last 18 months, everything they've done has stalled." Somerset, with some aid from Niagara County, has spent about $300,000 on legal fees and expert witnesses to fight the project. "It's worth every penny to protect my community," Engert said. "I feel very confident, but we're going to remain vigilant as well." An anti-Apex citizen group, Save Ontario Shores, issued a statement saying the company's announcement "causes further havoc, anxiety and unrest among residents who have clearly said they oppose installation of these massive industrial wind turbines. The turmoil Apex has caused in our communities is despicable and is the absolute opposite of corporate responsibility. Apex is not saying they're pulling this project; once again, they're simply pushing it back, as they've been doing for years. Apex refuses to admit this project is done. It's time to end it, once and for all." A pro-wind group in Orleans County, Lakeshore Mothers and Others Out Front, said it was "disappointed" by Apex's announcement, which it called a "pause." "Upstate New York communities with local wind projects have experienced tax relief, increased school funding, and economic growth," coordinator Susan Campbell contended. Since Apex never filed a formal application with the state Department of Public Service, there's nothing for it to withdraw and no legal action marking the end of the project, if that's what is happening. "I am very disappointed that they have chosen to frame this as a delay and continue this torment for our community," Engert said. Last October, Apex unveiled a plan for locating 47 wind turbines in the two towns along the Lake Ontario shore: 39 in Somerset and eight in Yates. Each of the turbines was to be 591 feet tall, including the length of the rotors. Their total electrical output was to be 197 megawatts. Originally, Apex had said Lighthouse Wind might include as many as 70 turbines, 620 feet tall, generating 203 megawatts. Both towns fought the project after taking surveys that showed about two-thirds of their residents opposed it. But others signed leases with Apex for potential turbine sites or pathways for infrastructure to connect the turbines with the power grid. All the elections for town offices in Somerset and Yates since 2015 have been won by opponents of the project. 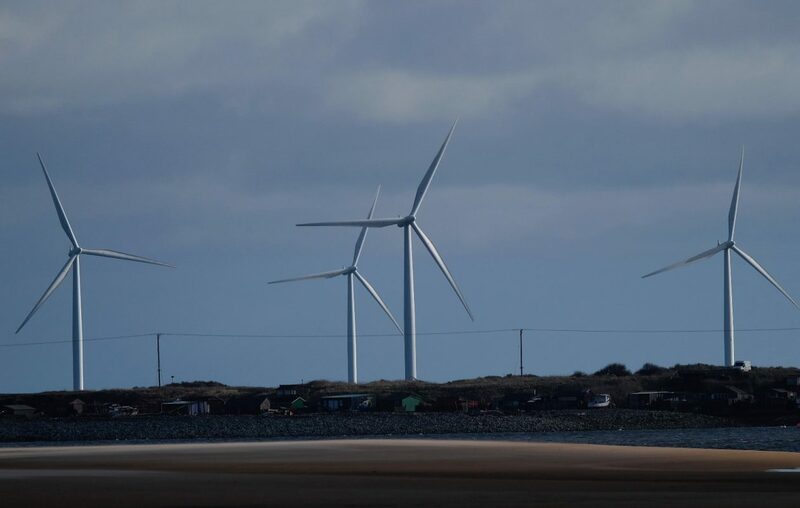 Opponents said the turbines would destroy the rural character and vistas of the town, while creating noise and vibration that would harm residents' quality of life or their health. Apex denied those claims, as well as other arguments made by opponents, ranging from the harm the spinning rotors allegedly would cause migratory birds, to the notion that their presence would somehow interfere with flight operations at the Niagara Falls Air Reserve Station 25 miles away. Local leaders complained that the deck seemed stacked against them because of a provision of the state Public Service Law that placed the final decision on renewable energy projects in the hands of a state siting board, all but two of whose members are state officials. Yates Supervisor Simon said he believes Apex was hoping the siting board would simply override the towns' anti-wind power laws. "The state won't do that without an application," Simon said. "I think they (Apex) realize those hearings won't go well for them."